Designed for portability and convenience, Schaefer Portable Air Conditioners roll easily from the shop floor to indoor office areas and set up in minutes. The Schaefer air-cooled portable air conditioner line consists of six models, from 13,500-77,500 BTU/hr. (1-6 tons). Just plug in and cool - no special electrical requirements are needed. 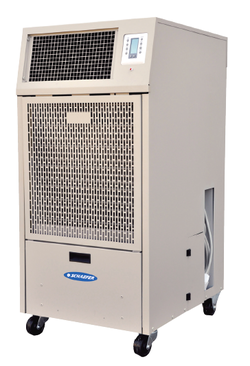 Most Schaefer portable air conditioner models are single phase (460V 3-phase option on the PAC-TZ60AB460). Built Tough for Rental and Industrial Applications. Durable, rugged design. Minimum maintenance required. Extremely long component life.